Come to appreciate the Authentic Chinese Antiques! 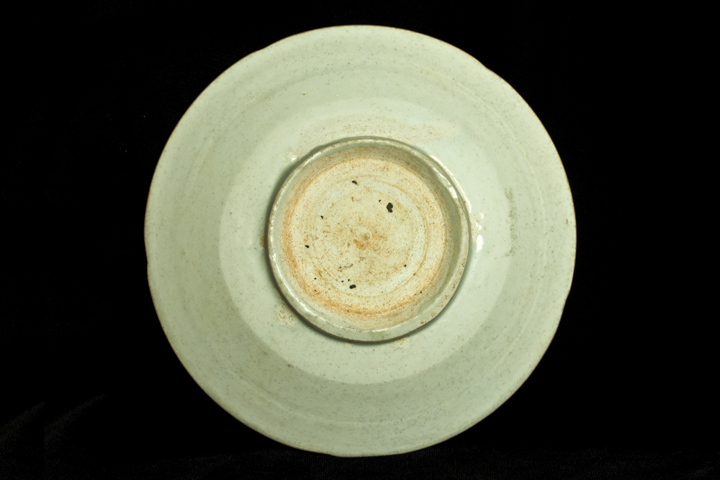 Appraisal: The shape of this dish is in the style of the mallow-petal dishes made in the Ding kiln from the Five Dynasties. 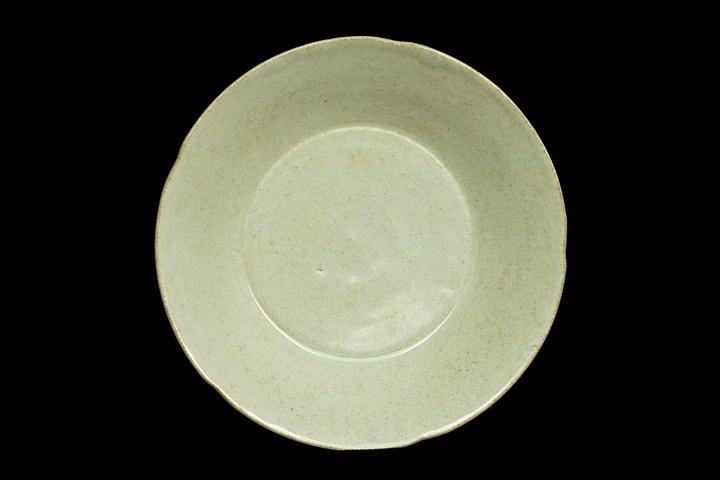 However, compared to typical Ding kilm porcelain, the glaze used on this dish is not as fine and smooth, and the white color is of lesser quality. 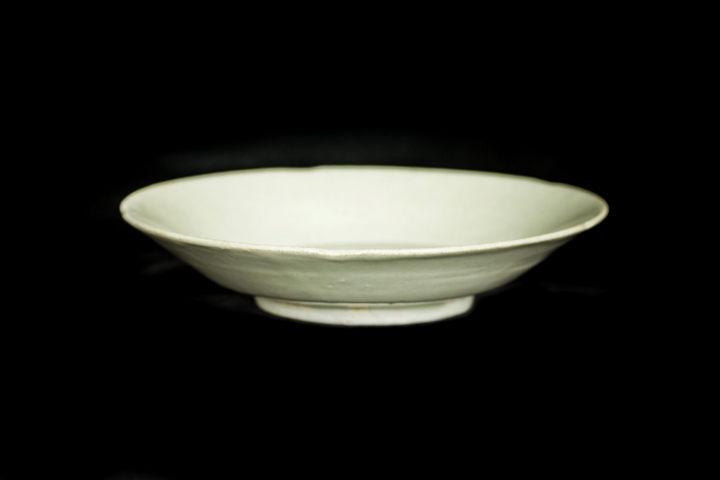 The dish’s white clay has a lot of impurities and black spots. It comes from Anhui province’s Jingxian kiln, where very high quality porcelain clay was made. In the divided and war-torn period of the Five Dynasties and Ten Kingdoms, this Jingxian kiln belonged to the Southern Tang Kingdom. The Southern Tang Kingdom occupied a big territory. As the rulers were very corrupt, they pursued very high-grade everyday utensils. 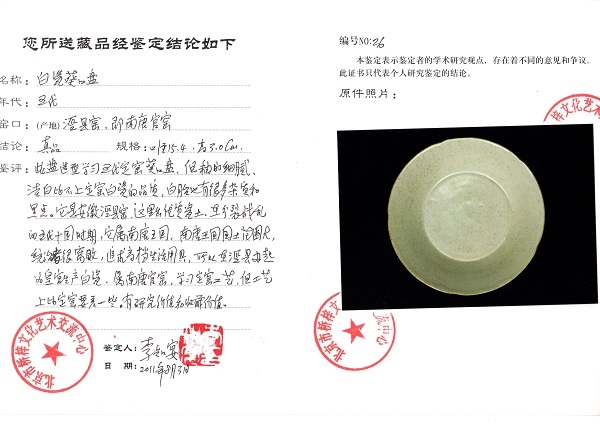 As Jingxian was selected to produce white porcelains for the imperial palace, it thus became the Southern Tang’s official kiln (Guanyao). It followed the craftsmanship of the Ding kiln, but with slightly worse quality. This object is of high research value and is worthy of collection. Copyright 2014 Aurora Real Estate Pte Ltd. All Rights Reserved.